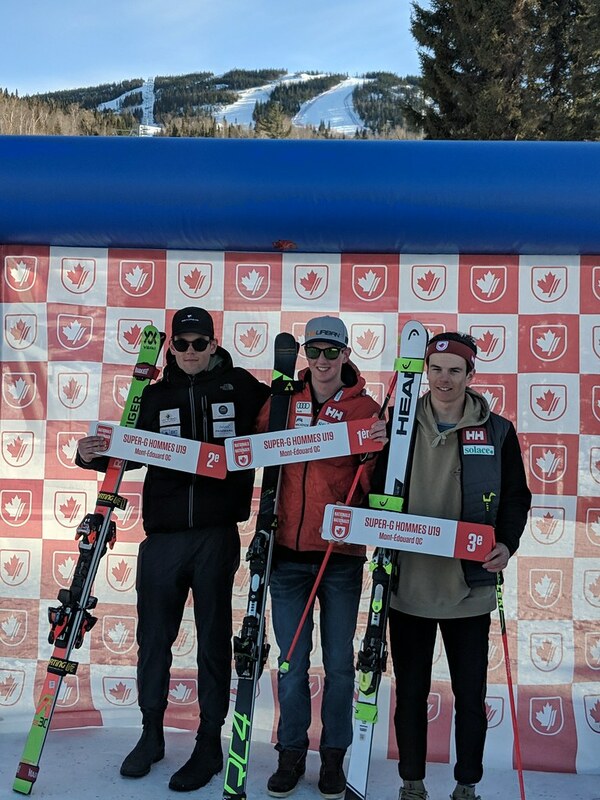 In addition to multiple podium finishes by National Team members from BC, several BC athletes had some great results, including two trips to the U19 podium by Devin Mittertreiner (Fernie/Windermere Valley Ski Club) in both super-G (Canadian Championships) and slalom (FIS), and two trips to the Canadian Championship U19 podium by Ella Renzoni (BC Ski Team/Whistler Mountain Ski Club) in GS and super-G. The men's series started with a FIS slalom competition. Devin Mittertreiner (Fernie/WVSC) made the podium as 3rd U19 (12th overall). Day 2 of slalom racing was for Canadian Championship honours. Devin Mittertreiner was the fourth fastest U19 on the day, missing the podium by .01 second and finishing 15th overall. After several delays due to very high winds the super-G race was held in the morning on day 4. Devin Mittertreiner (Fernie/WVSC) placed 2nd U19 (9th overall), again caught short by .01 sec to win the gold. The fourth day was a big day on the very demanding GS and super-G slope, with the National Championship GS being held in the afternoon. The National Championships super-G kicked off the ladies' race series. BC Ski Team's Ella Renzoni finished 4th overall and was 3rd on the U19 podium. Not far behind Renzoni in 5th overall was Katrina Van Soest (Coldstream, BC). BC Team's Nicole Mah (Grouse Tyee) finished in 10th position. 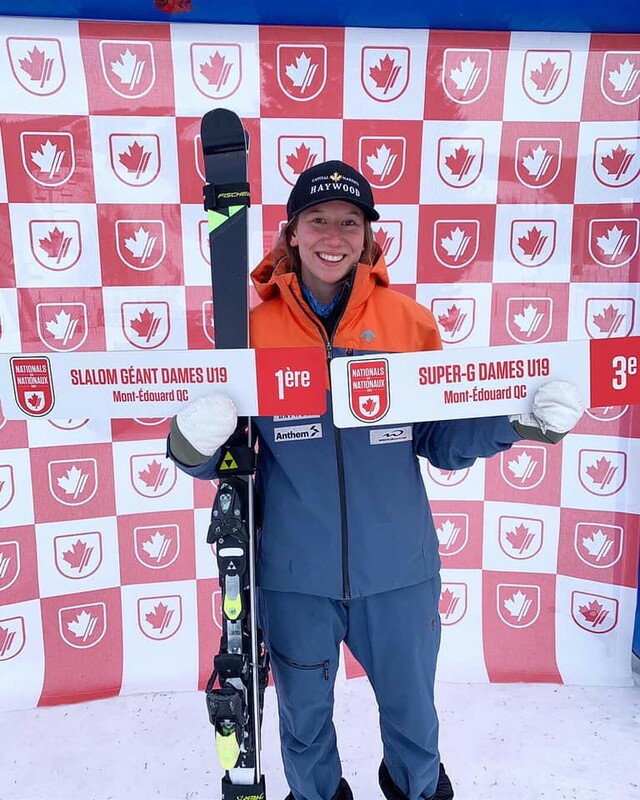 Renzoni made another trip to the U19 podium on day 2 of ladies' National Championships racing, grabbing 4th overall in the GS and earning top U19 honours!